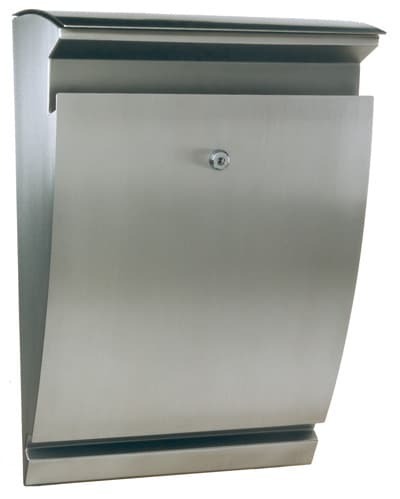 Jensen Wall Mount Mailboxes by European Home have a distinctive, contemporary European design. 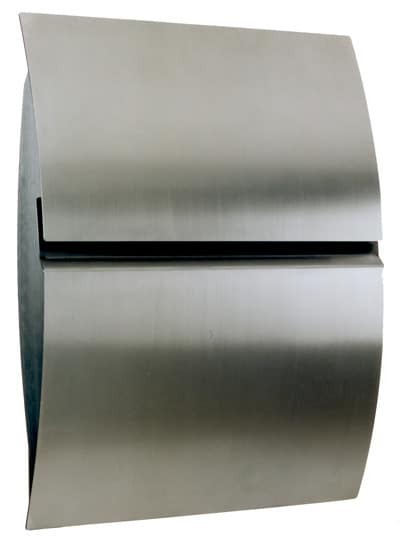 Made from erosion resistant .03″ thick type 304 stainless steel. 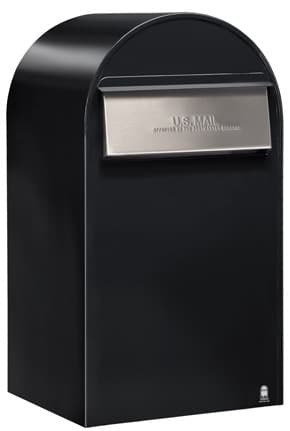 Along with clean lines and slim profile, this practical wall mount mailbox design incorporates a newspaper holder. 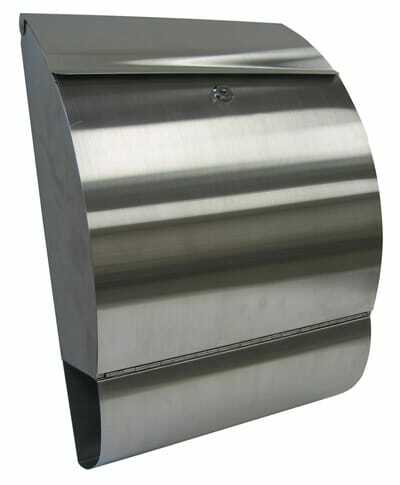 Front door of the mailbox swings down for effortless mail collection. 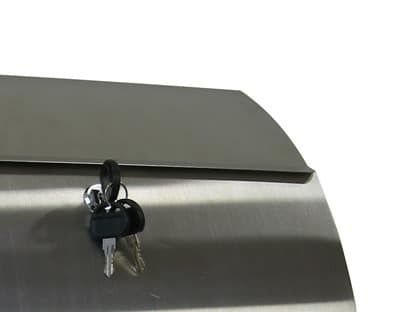 All locking units come complete with installation hardware, security lock and 2 keys. 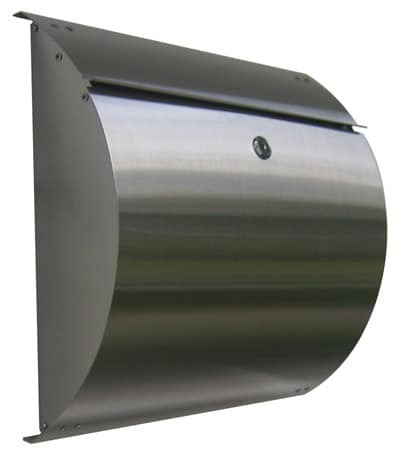 Horizontal lid for incoming mail measures 14”W so larger items won’t get damaged or need to be folded to fit. 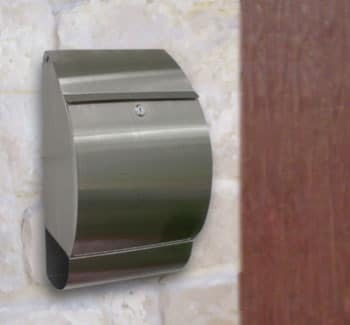 Update the exterior of your home with your new USPS approved European Home Jensen Wall Mount Mailbox.